From Feb. 4th to 7th, Snibe brings the latest innovation MAGLUMI X8 to Medlab Middle East with booth No. Z5C20 in Dubai, United Arab Emirates, one of the largest and most influential medical exhibitions across the world, attracting more than 22,000 unique visitors, and housing 500 exhibitors dedicated to sharing the most recent technology available in the IVD, and medical laboratory market. Among the most eye-catching products on this showcase was the world’s fastest CLIA system MAGLUMI X8, which drew enthusiastic responses, and attracted high attention from experts in diagnostic field. Independently developed by Snibe Diagnostic, MAGLUMI X8 adopts single reaction cuvette and disposable tip needle design, integrated a large amount of patented technologies and breaks the industry barriers; it attained the fastest throughput in the world and far surpasses the peer with up to 600 tests per hour so that it can maximize lab’s efficiency with extremely small space. 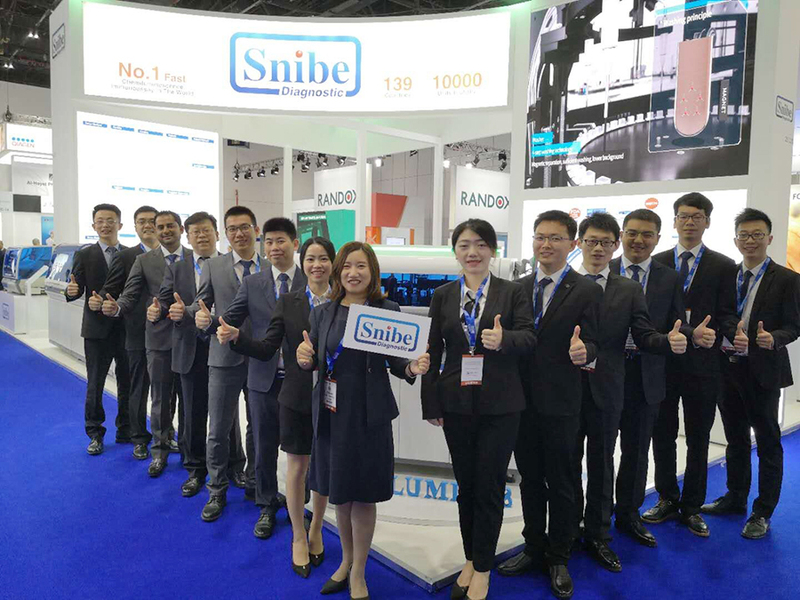 During this show, Snibe also showcases the typical and latest machines from its three product lines. Namely, MAGLUMI 2000 from chemiluminescence immunoassay system with FDA cleared, Biolumi 8000 from integrated system and Biossays 240 from biochemistry system. Biossays 240 Plus is one of the latest innovations of biochemistry system. With its compact appearance and a throughput of 240 T/H, Biossays 240 Plus provides a good solution for diagnostic and it's suitable for small or middle size hospitals or clinical laboratories. Snibe always keep creating value for human health through continuous innovation to provide more wonderful choices for us.” And now Snibe has exported its CLIA products to more than 140 countries with 10000 units installed. Welcome to visit Snibe in next Medlab Middle East in 2020.